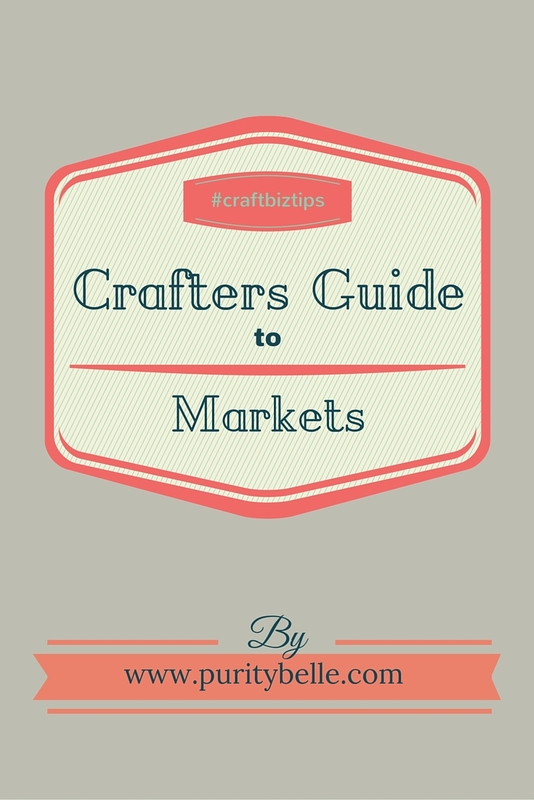 I really wanted to discuss Markets for crafters as a topic. I spent a lot of the initial period of my business running around to different markets because I really wanted to try as many as I could and get a feel for which were good and which were bad. My conclusion at the end of the year was that a lot really don’t work and probably aren’t worth the time and effort. So I thought I’d do a ‘how to’ guide for anyone starting out to do markets. It’s just based on my own personal experience and if you’re dealing with food, the experience is different I think. (I have also done a couple of markets for friends who sell baked goods). First things first – has your hobby slowly developed business potential? Perhaps you have sold to friends and family and would like to branch out? My main tip here would be to try small local markets first, a school fair perhaps or a fundraiser. The cost tends to be low, often tables are provided and it’s a great way to dip your toes into the water without a huge outlay. 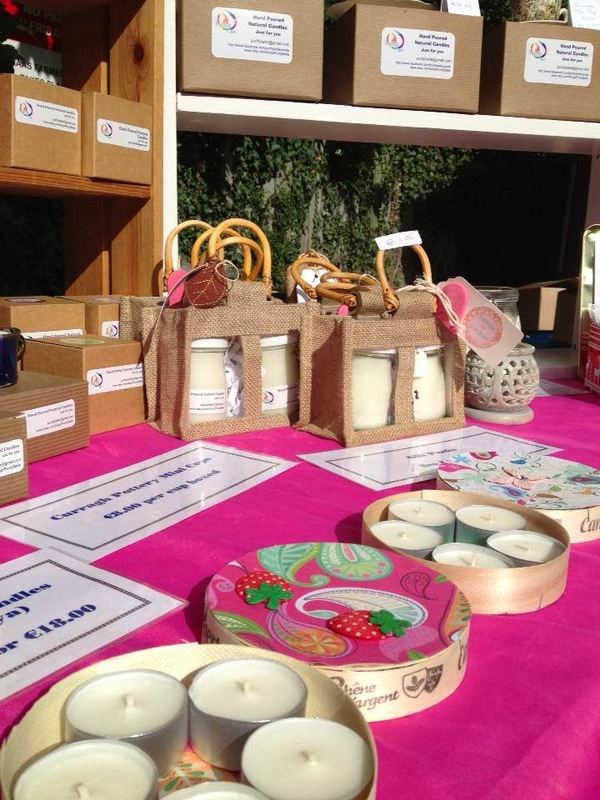 These fairs can be a great way to test products and to get your price point right. You can interact with people, see what they pick up and assess how much they are prepared to pay for your product. Also small fairs tend not to look for insurance details (I will get to this later in the post). If all is going well and you are starting to make sales and decide to continue doing markets, you will probably need to invest a bit of money at this stage. A good strong foldable table is essential,as well as a fold up chair. Although you can do without a trolley, it really makes life easier, particularly if your products are heavy. Again look for one that is foldable – Aldi have these from time to time and they aren’t particularly expensive and well worth the investment. Further down the line if you plan to do outdoors markets, a strong pop up tent is a must. Don’t be fooled into buying a cheap gazebo, it might seem cheaper but they don’t withstand any kind of wind or adverse conditions. I did a market last year in windy conditions and the sellers beside me had just bought a tent which unfortunately just buckled and collapsed in the wind. It was a total write off and a waste of money. I bought mine from O Meara Camping and it has really stood the test of time, it is heavy but not so much so that I can’t manage and it has full covers and weights which are really necessary. It’s also a good idea to have plastic stackable boxes, you’d be amazed at how much you can fit onto a trolley when you can stack things! Next, insurance, which I mentioned earlier, is a requirement for many of the bigger fairs or those run by County Councils. My insurance is with MAST, it is very reasonable when worked out over a year and Alicia and Ciaran are lovely to deal with. So you’re all set to go and sell! I always try to get as much as I can into the car the night before, if that isn't viable or you’re worried about things being stolen, try to have it all ready by the door so that you can just quickly load up in the morning. ALWAYS allow plenty of time, don’t underestimate how long it will take to set up, especially if you have to put up a tent. I’m still a bit slow getting my tent up but even without it, I find that I need a good hour to get my display out and looking good. Be respectful of other stallholders, try to have an awareness that many other people are trying to set up and having a car blocking your way can be very frustrating! Always ask where your assigned space is and bring things there as quickly as you can and then park your car – at this point you can start setting up the stall. 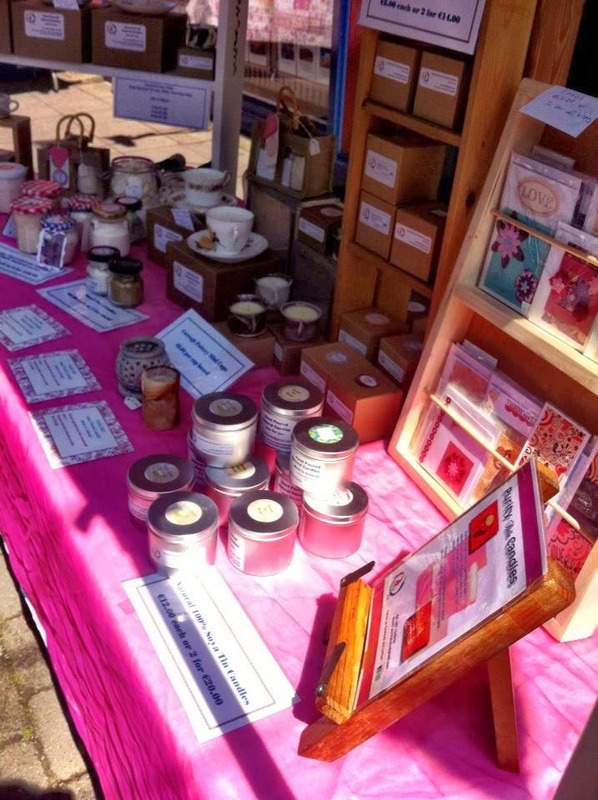 Again, in the interests of friendly relations, try to stay within your space and don’t have things which obscure or block someone else’s stall, the same applies when you are actually set up, be aware that other people are also trying to make money. Personally I always like to chat to and thank the organisers where appropriate, they also like to get feedback a lot of the time. It’s also nice to have someone to keep an eye on your stall if you need a toilet or coffee break! Over time I have added height to my table with some shelves that I bring along, it makes it much easier to let some items stand out and it’s also good to have something at eye level to draw people in. Of course the more you add, the more work you need to do and make sure it will all fit in your car! (As an aside, I’ve found some great little display items in charity shops, so it’s always good to keep your eyes peeled for bargains). Ok, I have to confess, I’m not the world’s greatest salesperson but I’m getting better! Some people are just naturally brilliant at chatting and drawing people in, for others, like myself, it’s not such a natural thing but don’t worry if it doesn’t come easily to you, a friendly manner and smile is a pretty good start and your confidence will definitely build up over time. I know some people favour a pushy aggressive selling approach and perhaps it works for them but personally, it really annoys me, so I’m not going to advocate that style. You will get a feel for potential customers as you go along, and if people seem genuinely interested, make sure that you give them your card, tell them about your Facebook/Twitter/Website. Even if you don’t make a sale on the day, they may well come back another time. Ok, this is something we all have to deal with from time to time. Even the best run market can occasionally be a disappointment in terms of sales and unfortunately there are a lot of badly organised markets out there. 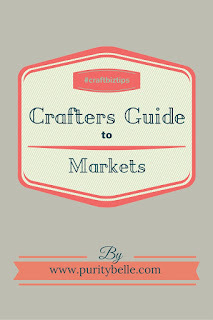 It does take a certain amount of experience to create a market which is pleasant for both crafters and customers alike. It needs to be somewhere people will linger, with the right mix of food and craft for all ages. 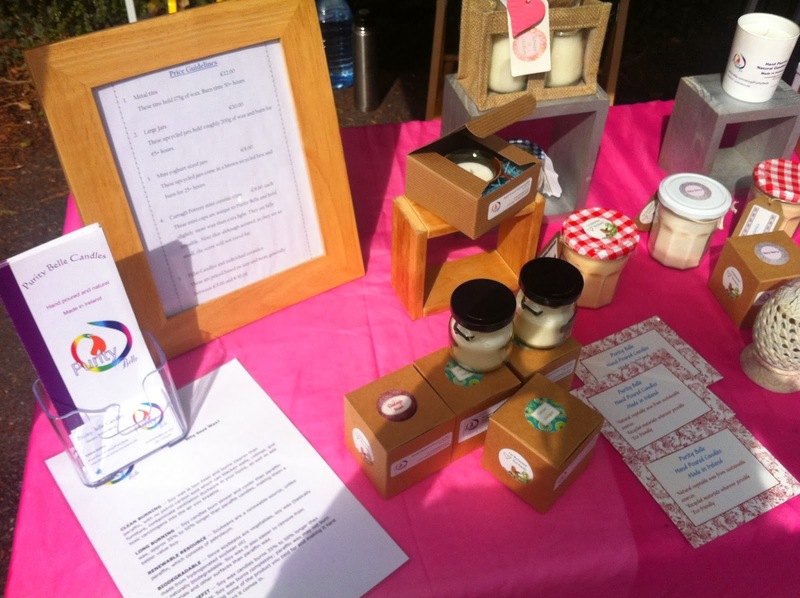 I love Naas Farmers’ Market for this reason, run by Siobhán Popplewell (Edited to add - Siobhan no longer runs the market), it always has a lovely atmosphere and because Siobhán has an appreciation for quality, this is very much reflected in the standard of stalls there. It is mainly a food market with gorgeous organic produce, cheese, olives bread and so much more and Crafters Day is the first Saturday of every month. Try to be discerning about the markets you choose – as you get to know people, you will start to hear which ones are good and which are a waste of time. Don’t be disheartened if sales aren’t good, it doesn’t necessarily mean that people don’t like your product. People are very careful about money in these times, so you may just need to persist and let people see that you’re out there and what you do. Having said that, if a market is not working for you in the sense that there seems to be no real interest in your products, it may just be that they are not your customers and you need to rethink doing that particular market. On a final note and possibly the most important, get your prices right. (Check out my Pricing Guide). This does take a bit of tweaking at the start and don’t expect to get it right straight away but it is worth taking the time to sit down and actually properly work out your costs. These include materials, labour, taxes, shipping, petrol, cost of market, etc. If you don’t do this and just set a price because you want to offer something cheaply, you will find that it’s not worth your while continuing. If you can make something for €3.00’s worth of materials and then charge €5.00, you will actually make a continual loss because that extra €2.00 is unlikely to cover the cost of market, initial outlay, petrol, etc. While it might seem thrilling to get those sales, your business won’t be sustainable if you don’t set a price that allows you to make a profit, however small. Good luck to anyone starting out and for the more seasoned folk, I'd love to hear your comments! And of course if you're a customer, let me know about markets you love and those you shy away from.